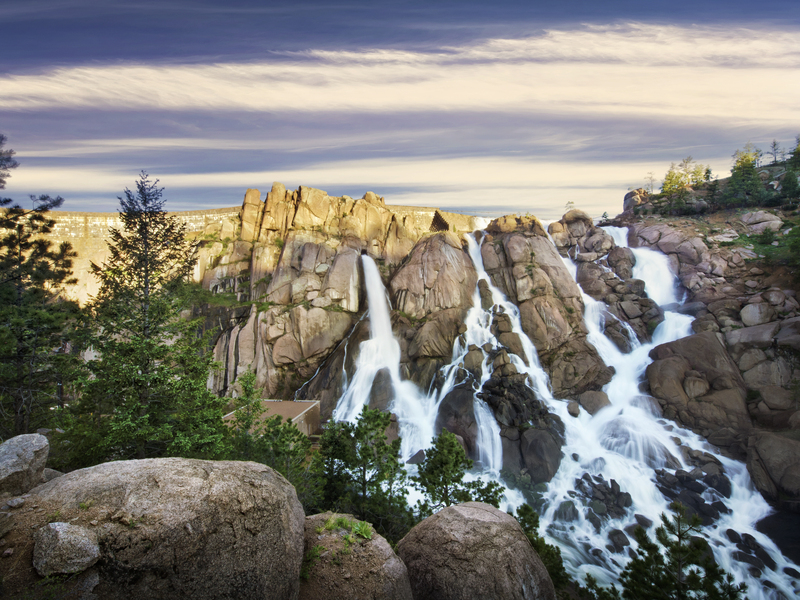 Named for Denver water pioneer Walter S. Cheesman, the dam was once the world’s tallest at 221 feet above the streambed when completed in 1905. 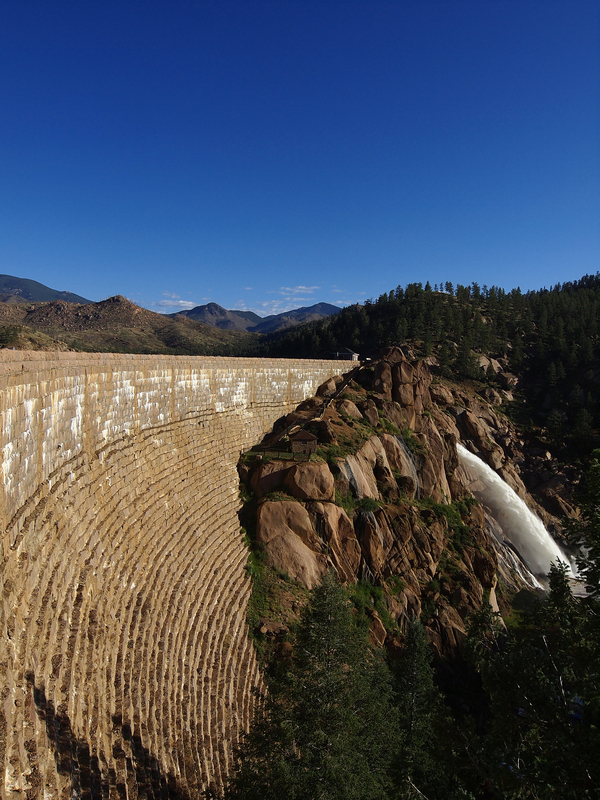 The Denver Water Board purchased the reservoir and related facilities in 1918. 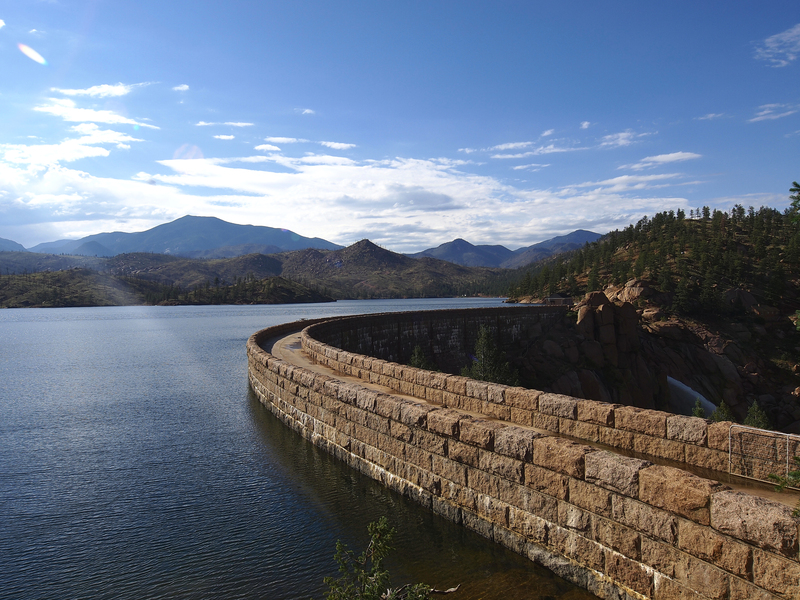 Cheesman was the first reservoir of Denver's mountain storage facilities and has been designated a National Historic Civil Engineering Landmark. Fishing: Allowed only on the Goose Creek Arm. Hiking: Cheesman is accessible by foot only. 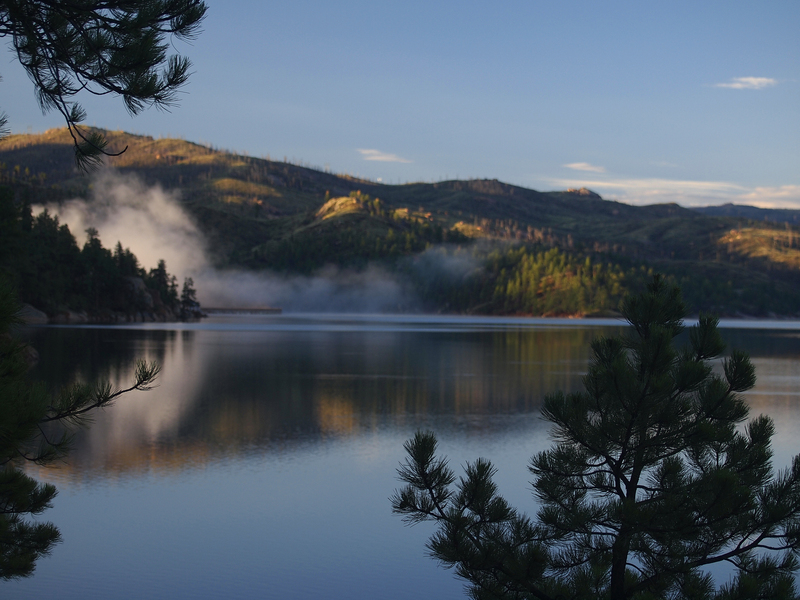 Hike the Upper and Lower (Gill) Cheesman Canyon Trail for scenic views of the reservoir. Parking for the trailhead is 200 yards north of the main parking area. Special events: Requires Denver Water approval. From C-470, take U.S. 285 south about 21 miles to Pine Junction. Turn left onto Jefferson County 126 and follow this road about 21.5 miles. At the bottom of the last hill, the road makes a ninety-degree turn to the left. There is a large parking lot on your right. The very next right turn is Forest Service Road 211. Turn right and follow Forest Service Road 211 about two miles to the fork in the road. 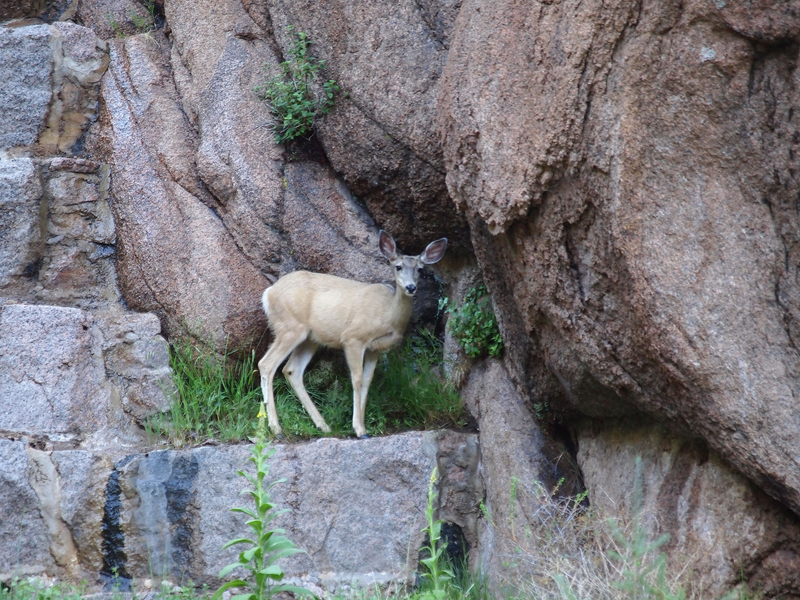 Take the left fork and drive another mile to the parking lot at the main entrance gate to Cheesman Reservoir. Pets must be kept on a leash and under control at all times. Pet owners must clean up after pets. Prohibited: Water contact sports (swimming, wading, scuba diving, wind surfing, water-skiing); discharging firearms; off-road vehicles; snowmobiling on the reservoir. Prohibited: All boating and camping. Allowed only on the Goose Creek Arm, a half-hour before sunrise and half-hour after sunset. Northern pike daily bag/possession limit is one fish 34 inches or longer. Prohibited: Oct. 1 to April 30; on dam and around reservoir. Ice fishing.